Between 1830 and 1914 in Britain a dramatic modification of the reputation of Edmund Burke (1730-1797) occurred. Burke, an Irishman and Whig politician, is now most commonly known as the 'founder of modern conservatism' - an intellectual tradition which is also deeply connected to the identity of the British Conservative Party. The idea of 'Burkean conservatism' - a political philosophy which upholds 'the authority of tradition', the organic, historic conception of society, and the necessity of order, religion, and property - has been incredibly influential both in international academic analysis and in the wider political world. This is a highly significant intellectual construct, but its origins have not yet been understood. 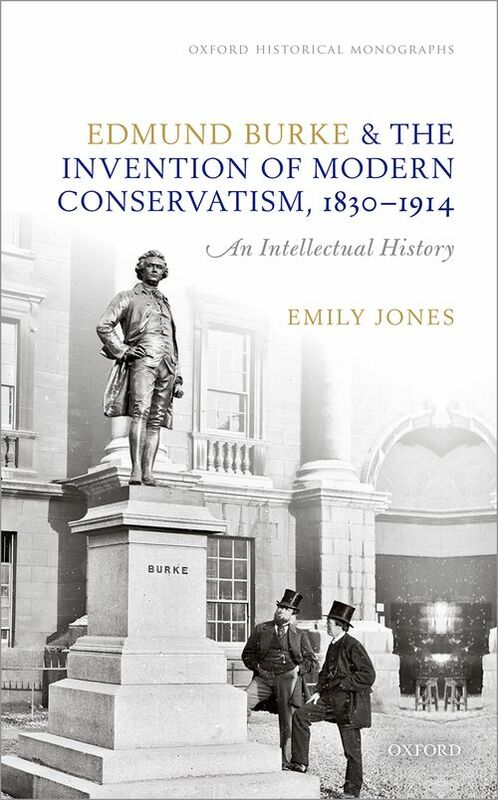 This volume demonstrates, for the first time, that the transformation of Burke into the 'founder of conservatism' was in fact part of wider developments in British political, intellectual, and cultural history in the nineteenth and early twentieth centuries. Drawing from a wide range of sources, including political texts, parliamentary speeches, histories, biographies, and educational curricula, Edmund Burke and the Invention of Modern Conservatism shows how and why Burke's reputation was transformed over a formative period of British history. In doing so, it bridges the significant gap between the history of political thought as conventionally understood and the history of the making of political traditions. The result is to demonstrate that, by 1914, Burke had been firmly established as a 'conservative' political philosopher and was admired and utilized by political Conservatives in Britain who identified themselves as his intellectual heirs. This was one essential component of a conscious re-working of C/conservatism which is still at work today. Emily Jones read for a BA in Politics and Modern History at the University of Manchester and, subsequently, the MSt and DPhil in History at Exeter College, University of Oxford. In 2015 she joined Pembroke College, University of Cambridge as the Mark Kaplanoff Research Fellow. Her current research focuses on the development of ideas about C/conservatism — beyond Burke — at the turn of the twentieth century.